It’s important to make the best choice possible from a list of roofing companies. People who purchase a new home typically have a home inspection done before they settle on submitting their final offer. A professional inspector will include a roof inspection in their report, so most homes for sale will not have any current problems with the roof. The new owner of the home will probably not need to think about repairing or replacing the existing roof for at least 10 years or more. The average life of an asphalt shingled roof ranges from 15 to 25 years depending on the quality of the shingles used. 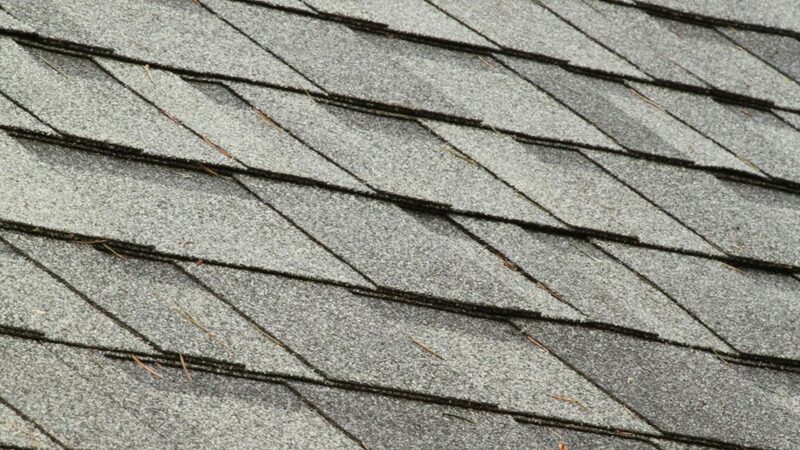 One of the first signs that a shingled roof needs attention is loosened or curling edges on the shingles, or a serious windstorm may blow several off if they have begun to loosen. Any of these issues is a sign that a roof may need to be repaired or even totally replaced. Although asphalt shingles are the most common type of roofing material used by modern roofing companies, other roofing materials have gained popularity within the past couple decades. Metal roofing materials are now manufactured to resemble various types of shingles. While metal roofs have at least double and sometimes triple the lifespan of asphalt shingles, the initial cost is considerably higher. A couple important advantages of metal roofing is that it is more resistant to wind damage and can prevent fire damage in the case of a nearby fire. Many home insurance companies offer a policy discount for metal roofed homes. Some other types of roofing materials include clay or concrete tiles, slate and wood shakes or shingles. Slate and tile roofing is heavier than asphalt or metal roofing, so care must be taken to ensure the structure of the building can support the extra weight. The advantages of these tiles is that they are nearly indestructible and will perform well as long as the building stands. Wood shakes are often made of cedar since this type of wood is rot resistant, although there is an increased fire danger with wood roofing. Wood shingles were used extensively before the availability of asphalt or metal roofing, and wood is very aesthetically appealing. When a homeowner realizes the roof on their home is beginning to deteriorate and needs attention, they need to decide which type of roofing material is their best choice. Asphalt shingles is the material most roofing companies work with these days, and it is likely the type of shingles used for the existing roof. The homeowner may also consider replacing the roof with some other type of roofing than is currently in place. Local home improvement stores usually have a list of professional contractors in the area, so they are probably the first place to look for qualified roofing companies. The store employees may also be able to recommend the most qualified contractors. The yellow pages and the internet are also good sources of contractor listings. One advantage of online searches is the company sites typically include reviews and comments from past customers. Once the homeowner has found information about several professional roofers, they should call at least three to give them a bid on their project. The contractor will first inspect the existing roof to identify the severity of the problem. They may recommend repairing a problem area rather than replacing the entire roof. They should be able to give the homeowner specific advice if they are considering other types of roofing materials. Location and climate have a lot to do with which type of roofing material is best. Homes in very cold climates where a lot of snow falls each year often do best with metal roofing. This is because snow slides off easily and eliminates damage from a heavy snow load. Homes located in the desert southwest are often roofed with clay tiles because they resist sun fading. Tiles can be designed to compliment the adobe homes that are common in that area. Although some people don’t think much about their roof until they notice a problem, it really is important to the integrity of their home. A leaky roof can allow deterioration of the interior structures of a home which can cause serious and expensive damage.